Drew Totten Autographs Item: 0000284176 -- Don Henley 'The Eagles' Awesome Signed Album - Uncommon Signer! Don Henley 'The Eagles' Awesome Signed Album - Uncommon Signer! 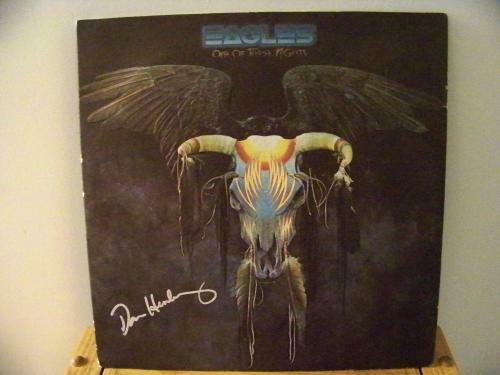 THIS ITEM IS A GREAT "ONE OF THESE NIGHTS" (1975) AUTOGRAPHED ALBUM BY "EAGLES" LEAD VOCALIST, DON HENLEY. BOTH THE ALBUM COVER AND THE LP ITSELF ARE IN EXCELLENT CONDITION. MR. HENLEY IS A VERY UNCOMMON SIGNER!